November 21, 2016 by Beeraj Patel, Esq. Are you a foreign national interested in working in the United States? If so, there are a bevy of temporary worker or employment-based immigrant visas you might be able to pursue, such as those for individuals in specialty occupations, those who are transferring within a company to a job domestically, or those who enter the U.S. for seasonal agricultural work. 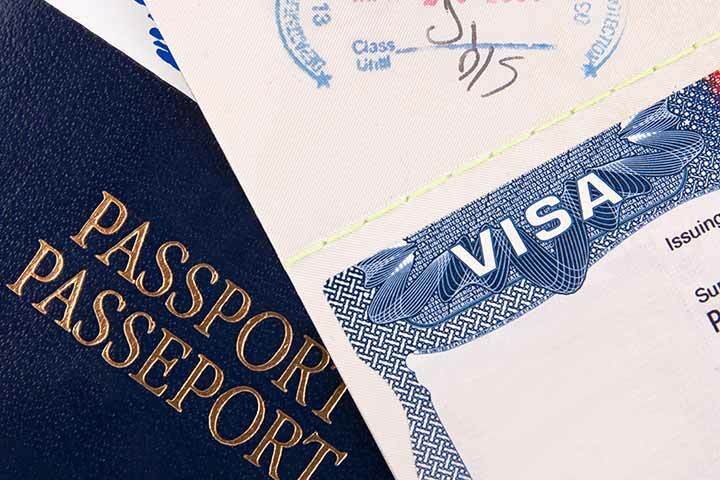 While there are varied visas for people to consider, most who wish to enter the U.S. for work-related reasons must first have a prospective employer file a petition (Form I-129 for temporary workers and Form I-140 for employment-based immigrant visas) on his/her behalf with United States Citizenship & Immigration Services; once the petition has been approved, the individual can apply for a visa to enter the U.S. There are a broad array of temporary worker visas the U.S. government offers to those planning employment in this country. These include the H-1B, H-1B1, H-2A, H-2B, H-3, L, O, P-1, P-2, P-3, Q-1. H-1B: This visa is reserved for those in specialty occupations, like engineering, science, math or architecture, for example. Requirements for this visa include a higher education degree or equivalent experience. There are 65,000 slots per year allotted for the H-1B visa. L: The L visa is appropriate for those who are transferring within a company overseas to a U.S. counterpart. This can be a “branch, parent, affiliate, or subsidiary of the current employer.” The visa holder must work in an executive or managerial function, or a job that requires specialized knowledge. The employee must have worked for the business overseas as an executive or manager for at least one continuous year within the last three years. H-2A: The H-2A visa is intended for those who enter the U.S. to perform seasonal or temporary agricultural work. These is no cap on the amount of workers who can receive this type of visa, but it is open only to citizens of specified countries. H-2B: The H-2B visa is designated for temporary or seasonal workers who are entering the country for non-agricultural work, such as tourism, construction or landscaping. Like its counterpart, the H-2A, it is intended only for citizens or nationals of certain countries, with few exceptions. U.S. immigration law allows for approximately 140,000 employment-based immigrant visas a year. These visas are granted to qualified individuals who belong to one of five preference categories. Priority workers may be people with “extraordinary ability” in the sciences, arts, business, athletics or education. These individuals do not need job offers to enter the country, but instead should demonstrate they plan to continue these pursuits while in the U.S. They also are permitted to file their own petitions with USCIS. Other types of priority workers include “outstanding” professors and researchers, and multinational executives or managers. Priority workers make up 28.6 percent of employment-based immigrant visas annually. This category applies to “Second Preference” applicants who either hold advanced degrees or have “exceptional ability” in the sciences, business or arts. Unlike a priority worker, the Second Preference applicant should have a labor certificate approved by the Labor Department, and a job offer at the ready. This class of applicants receives 28.6 percent of employment-based visas each year. The “Third Preference” designation applies to skilled workers whose jobs require at least two years of training, who have a Bachelor’s degree at a U.S. university or foreign equivalent, or are unskilled workers who can fill a position that does not require more than two years of experience. Labor certification is required, as is a petition by a prospective employer. Like the E-1 and E-2, E-3 visa holders receive 28.6 percent of the yearly allotment. A “special immigrant” may be a broadcaster, religious minister, employee of the U.S. government abroad, or a former employee of the Panama Canal Company, just to name a few. The “Fourth Preference” category has 19 subgroups that might make an applicant eligible for an employment-based visa. The EB-5 visa program promises legal, permanent residency to foreigners who make a capital investment — generally at least a million dollars — in a commercial enterprise that will yield at least ten domestic, full-time jobs. Though this sub-category is classified as an “Employment Fifth Preference” visa, the investor does not have to participate in day-to-day operations of the business.